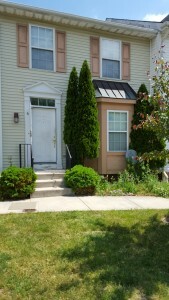 Hard Money Bankers funded this rental property in Annapolis for a real estate estate investor. Since we fund shorter term loans we provided the capital for them to acquire and renovate the house. As soon as the property has a tenant in it bringing in cash flow the owner will refinance into a longer term bank loan. Using Hard Money to purchase rental properties is a good strategy as long as you have a clear bank exit strategy.